We are open during the Christmas/New Year break, Wednesday to Sunday excluding Public Holidays (closed Wed 26th Dec). Have fun at the Gallery this school holidays as you learn how to print and dye with natural materials. We will use foliage, ﬂowers and bark from the garden and waste vegetable material from the kitchen to create exciting colours and marks on cloth and paper. Presenting a selection of work from his past two years practising at South Australia’s contemporary craft and design institution, The JamFactory, Billy Crellin will show new experimental sculptures and functional wares boasting colour, form and material mimicry. 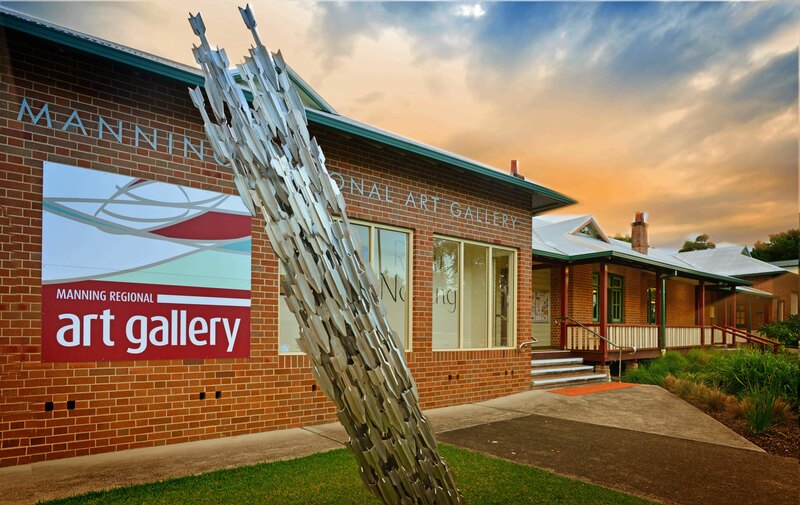 Come down to the gallery and explore art at its finest. Exhibition openings, workshops and activities. Arts & Culture news from across the MidCoast.